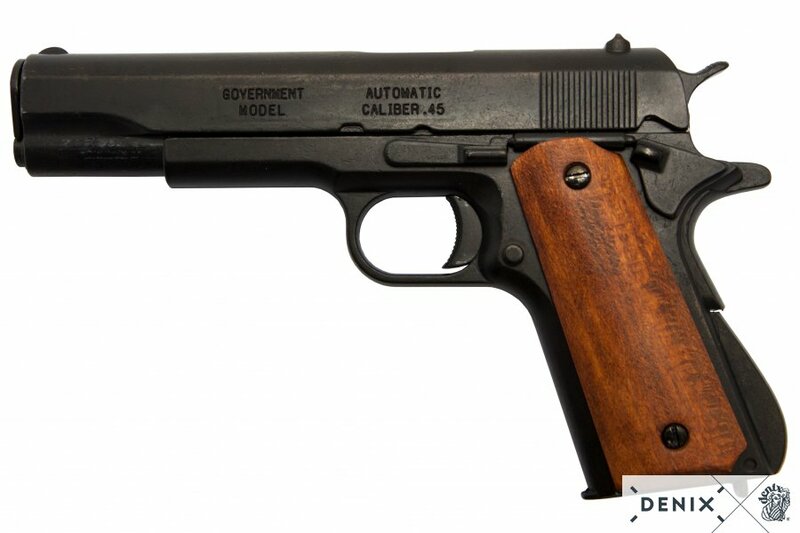 Colt 1911-A1 .45 ACP Denix replica pistol simplified version without removable magazine and moving control parts. Slide action works and the pistol can be dry fired. 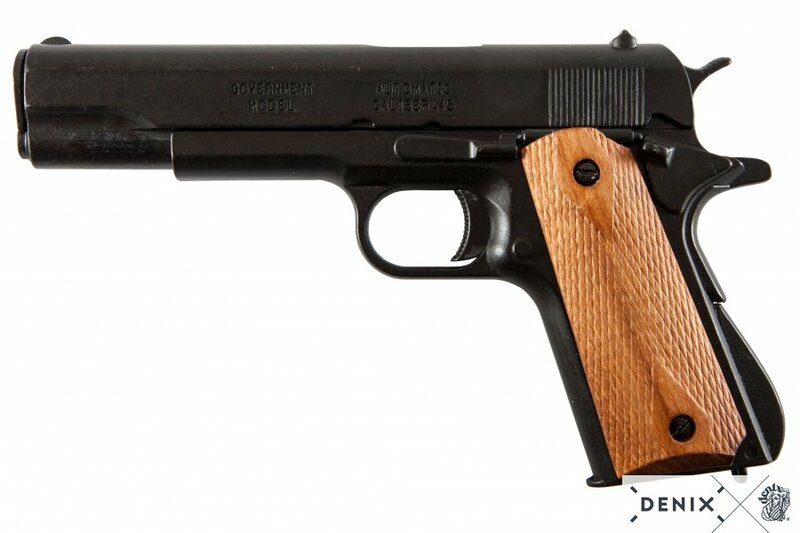 Wood grips, full metal construction.